Marta is una niña, an ordinary girl . . . with some extraordinary animal friends! 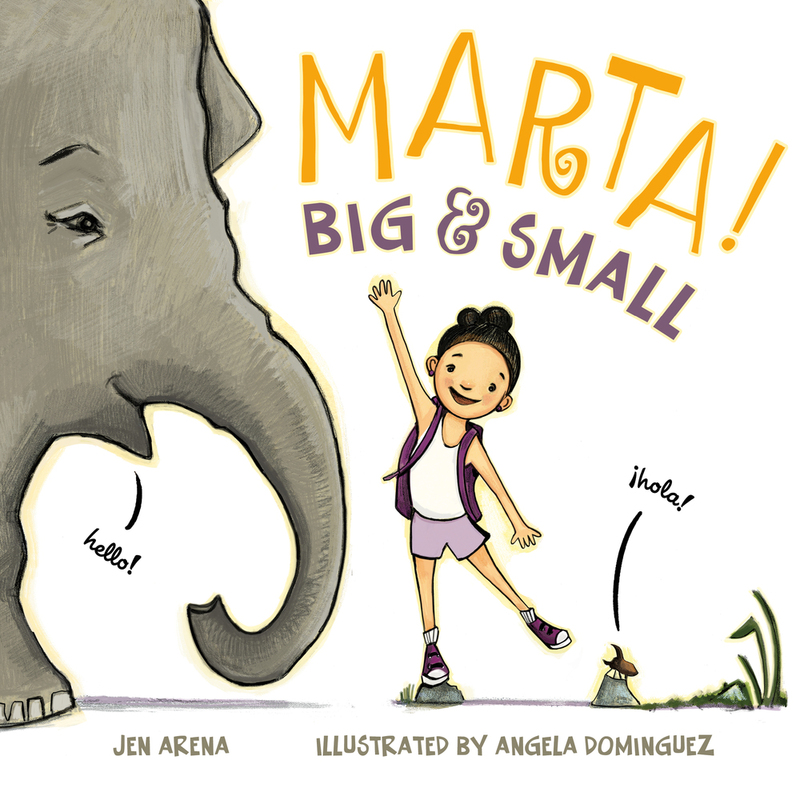 As Marta explores the jungle, she knows she's bigger than a bug, smaller than an elephant, and faster than a turtle. But then she meets the snake, who thinks Marta is sabrosa—tasty, very tasty! 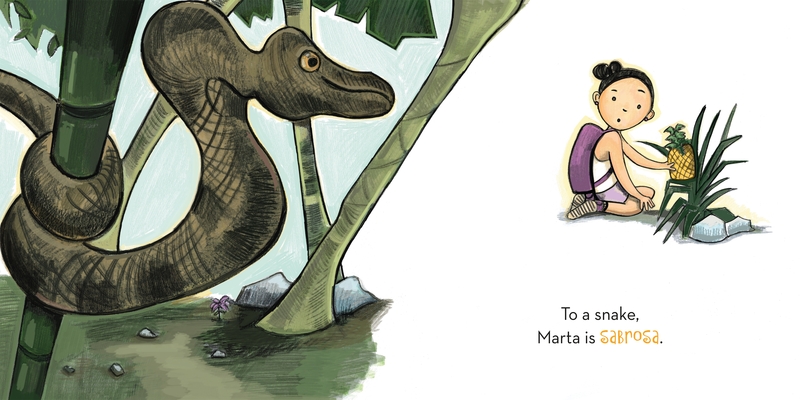 But Marta is ingeniosa, a very clever girl, and she outsmarts the snake with hilarious results. 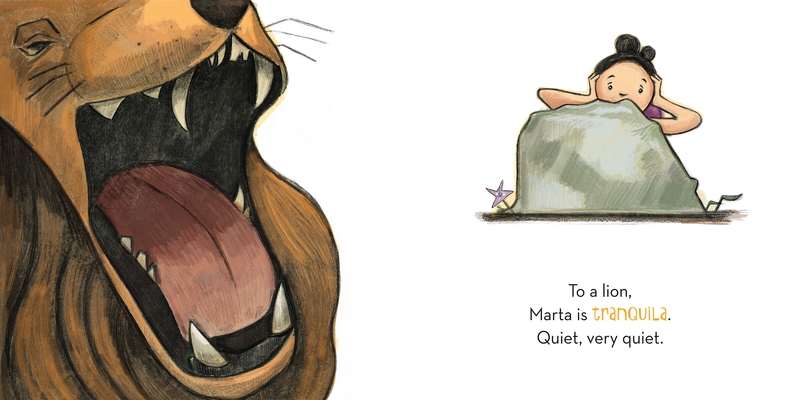 With simple Spanish and a glossary at the end, this fun read-aloud picture book, Marta! 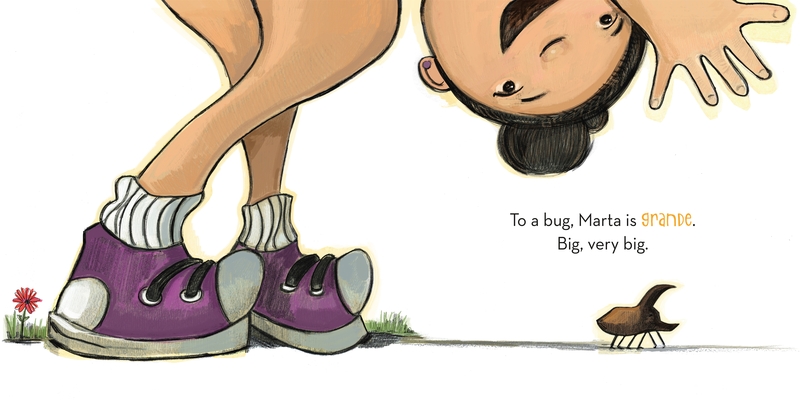 Big and Small, teaches little ones to identify opposites and animals and learn new words. Jen Arena is a former editorial director at Random House Books for Young Readers. She now writes books for children full-time, including 100 Snowmen, a wintry counting story, and Besos for Baby, a bilingual board book of kisses. Her books have been translated into French, Korean, Arabic, and, of course, Spanish. Angela Dominguez was born in Mexico City, grew up in Texas, and lived in San Francisco. She's the author and illustrator of picture books such as Let's Go, Hugo! 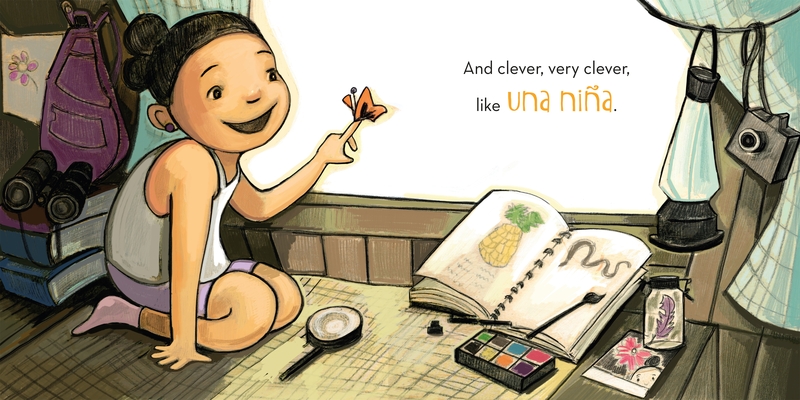 ; Santiago Stays; Knit Together; and Maria Had a Little Llama, an American Library Association Pura Belpré Illustration Honor book. She now writes and creates in her studio in Brooklyn, New York.